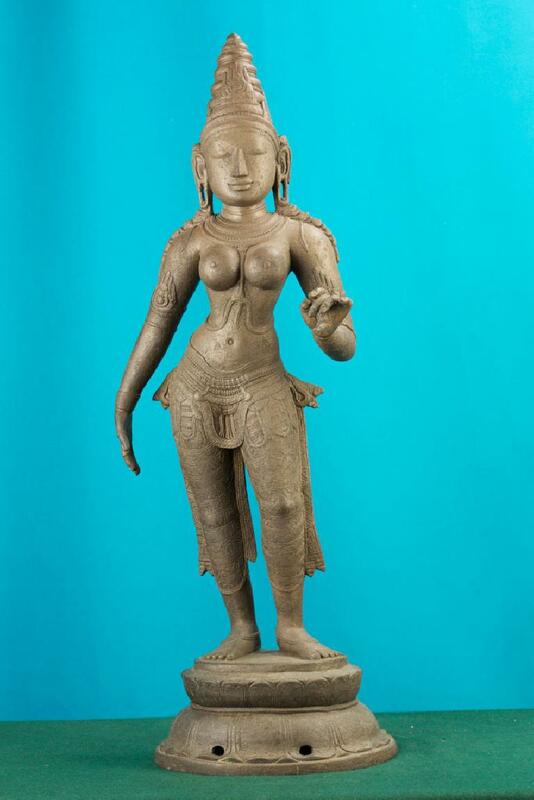 An artifact of two-handed Devi in dwibhanga pose. The right hand of the figure is in lolahasta and the left hand holds a flower. Probably, the figure is Bhudevi. The date of acquisition is 6-6-1921.